Force Test Stands – Motorized & Manual | IMADA CO.,LTD. 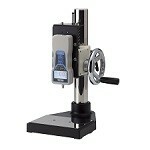 Force Test Stand can be used as a force tester by combining with a force gauge. 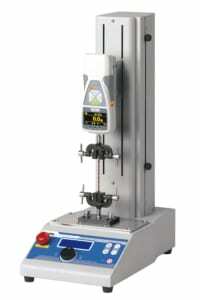 The tester is capable of force measurements which cannot be performed with a force gauge alone (e.g. improving repeatability and efficiency, applying large force, etc). Since IMADA has plentiful line-up of Force Test Stands (*1), you can find the suitable test stand from them. Moreover, you can test necessary force by mounting testing attachments (fixtures). Various force tests are available such as Compression test, Tension test, Peel test, COF test and more. *1 We also offer custom-made test stands (e.g. for a special long stroke, for installing to a facility, etc). →ASK for Custom-made Order. 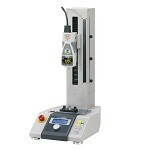 They enables to perform force measurements at a uniform angle at a budget price. Ideal for force measurements that require high repeatablity. They enable to measure at uniform speed and angle.